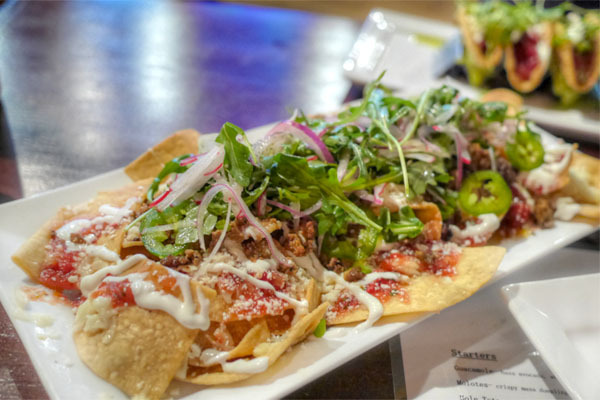 My latest outing brought me close to home with Amor y Tacos, Thomas Ortega's new Mexican eatery that opened recently in the spot formerly occupied by the longstanding King Dragon Chinese restaurant. 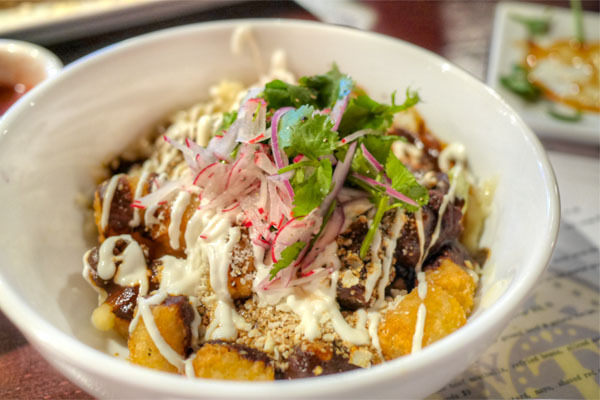 The Chef grew up in the area, and was even childhood friends with Naga Shibutani from Costa Mesa's Shibucho. After graduating from Cerritos High School, he enrolled at the California School of Culinary Arts in Pasadena, finishing his studies there in 1999. 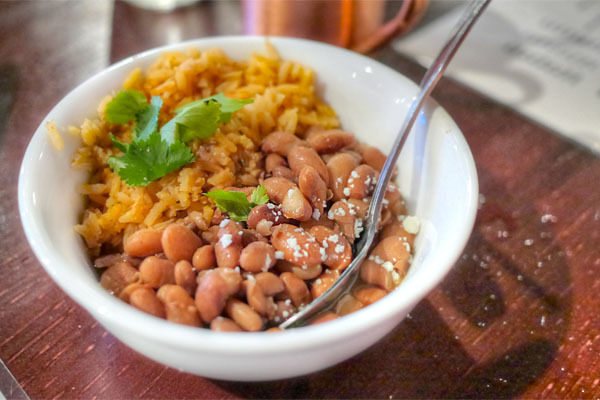 Ortega then spent time at Aubergine in Newport Beach, as well as LA mainstays Water Grill (under Michael Cimarusti), Lucques, Spago, and Patina. In 2008, he opened up his own place, Ortega 120 in Redondo Beach, in partnership with Demi Stevens, which led to a guest stint on Hell's Kitchen alongside John Sedlar. The success of 120 paved the way for Amor y Tacos, which bowed last October. Interestingly, Ortega's Chef de Cuisine here is none other than Eric Carpo, a Las Vegas transplant who previously cooked at Guy Savoy and Joël Robuchon. Inside, things are about what you'd expect, like a slightly toned down version of the decor at the Chef's other restaurant. 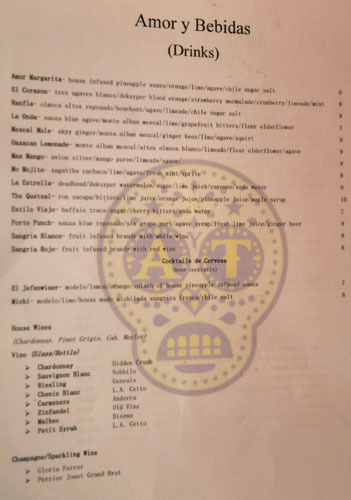 The menu reads in a similar vein to the one at Ortega 120, with updated iterations of Mexican comfort staples. Click for larger versions. To drink, there's a pretty good beer selection, not to mention cocktails and a smattering of better-than-you'd-imagine wines. Click for larger versions. I was quite enamored with the chips 'n' salsa. 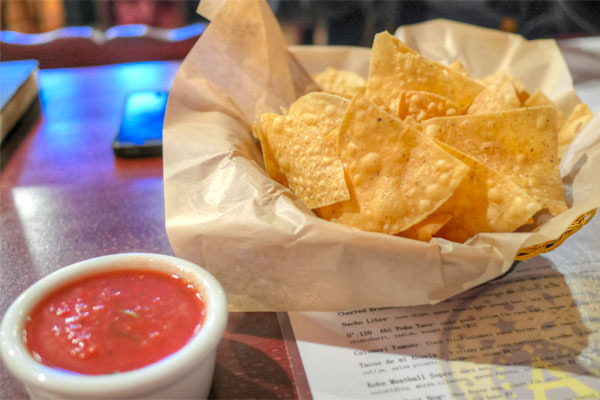 The chips themselves were nicely crisp, and even "puffy," while the salsa tasted sweet and smoky at first, but with a great touch of growing heat on the back end. Try not to fill up on these. We went with a couple cocktails to begin. 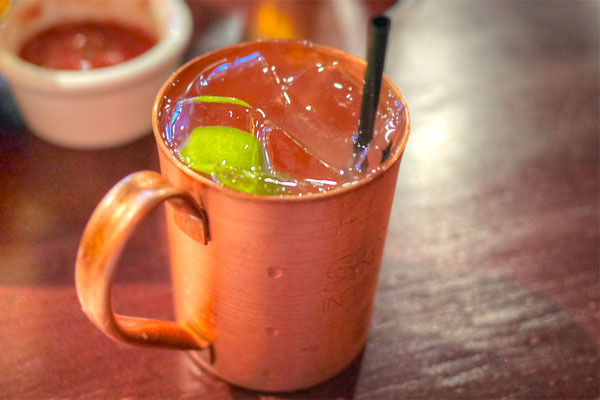 I chose the Mescal Mule, since it featured Squirt, my favorite soda (especially in Ruby Red form). 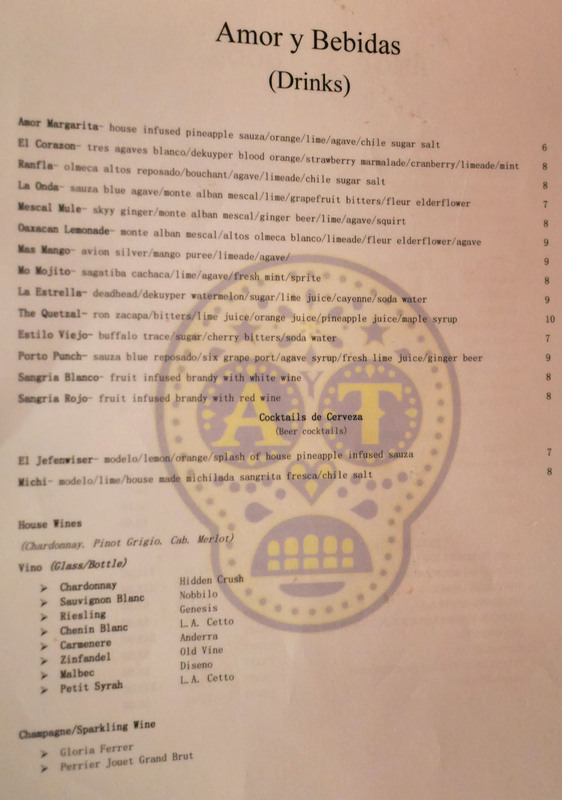 Unfortunately, I really didn't get much mezcal here at all; it could've just been any sort of tequila with the vaguely agave-esque flavors I tasted. 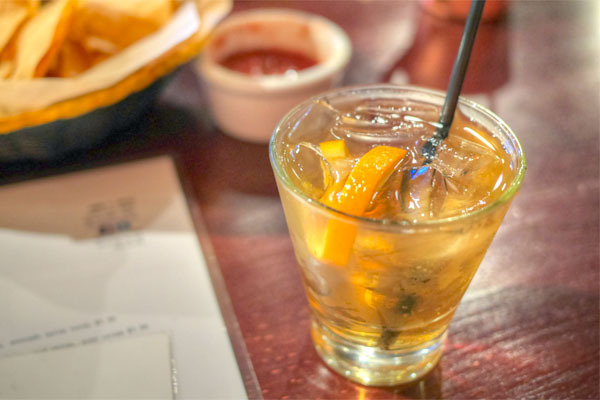 The drink was also on the water-y side, and the ginger and lime could've been more apparent, too. The Estilo Viejo was more successful, the Buffalo Trace coming to the forefront here against a balance of sweet and citrus-y notes, though I wanted the cherry bitters to be more pronounced. 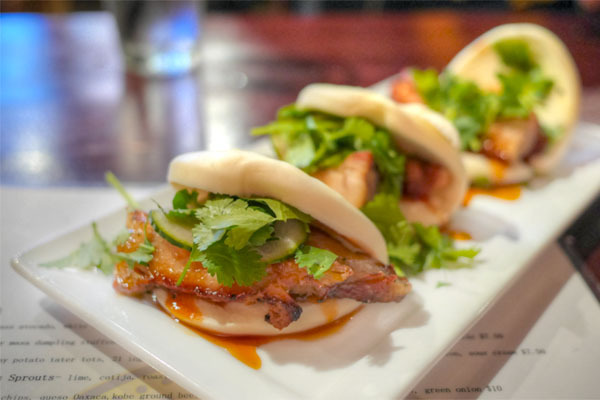 It's been years since David Chang popularized his pork buns at Momofuku, but the concept is still fresh here in Cerritos, so we gave 'em a try. It was a pretty tasty execution of the ubiquitous dish, the belly coming out sweet, smoky, and savory, tempered by the various greenery present. There was a bit too much of the gastrique present though, and it tended to make the buns overly soggy, resulting in a messy affair. I'm a sucker for Tater Tots, and here they delivered as my favorite dish of the night. Every element just came together beautifully, making for a well-integrated course that really tied the mole together with its various accoutrements. I just wish that the tots were warmer/crisper. 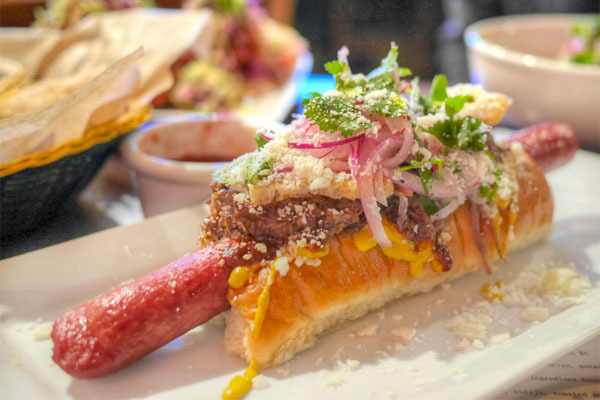 Next was Ortega's take on the "Doyer Dog," which, in case you didn't know, is an official variation of the classic Dodger Dog served at the stadium. This one was much, much better I'm sure, the frankfurter itself spot on and wonderfully savory, augmented by the deep, dark flavors of the short rib while the various toppings provided a modicum of balance to the dish. As delish and over-the-top as it looks. 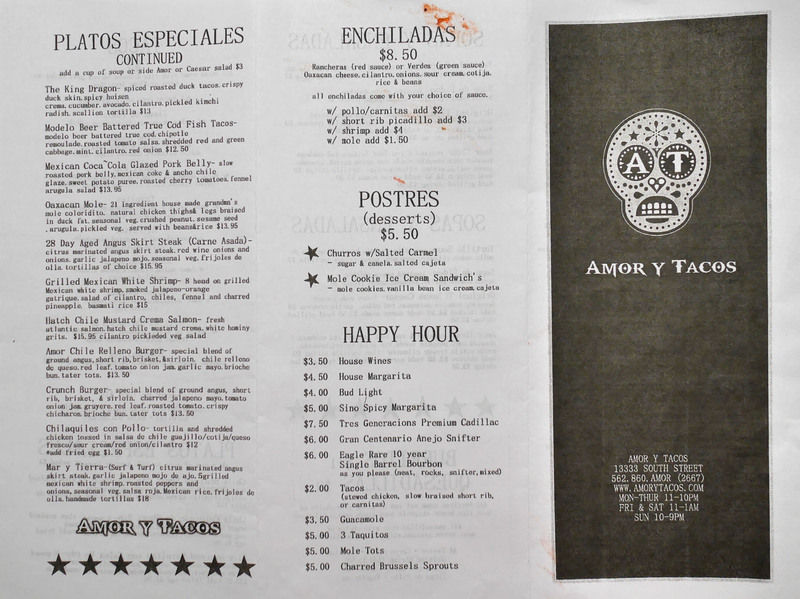 The restaurant's version of the classic Mexican ceviche was on point as well. 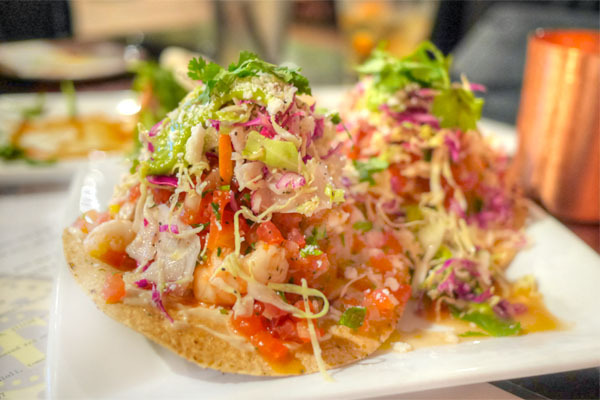 It was a light, refreshing sort of dish, the snappy, sweet shrimp melding swimmingly with the various tart, tangy toppings while the tostada on the bottom gave us a great textural contrast. Following was a dish ostensibly ported over from the menu at Ortega 120. 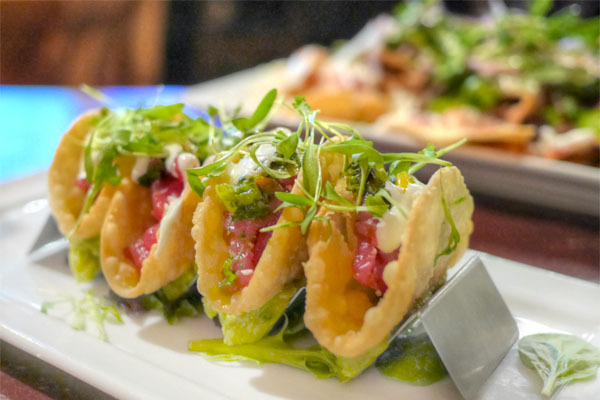 It presented us with prototypical Asian fusion-y sort of flavors, with the clean, delicate tuna giving way to the crunchy, savory shells, the various condiments moderating the whole interaction. Nachos were quite satisfying, one of the better preparations of the dish I've had actually: just great chips, and a nice complexity and interplay between the sundry toppings, all bound together by an undercurrent of heat. Yum. 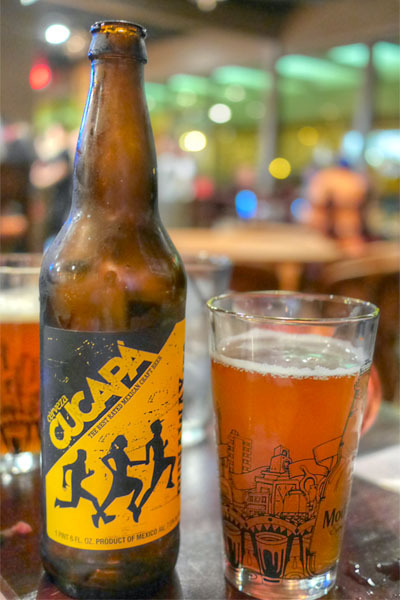 At this point, we requested a bomber of the Cucapá Runaway IPA [$9], a Mexican craft beer that you don't find around these parts very often. It was good though; you had your classic IPA flavors, with a lot of caramel-y malt to offset the citric, bitter notes in the brew. Tinga de Pollo w/ salsa verde, cotija, cilantro, radish - A touch dry perhaps, but rather tasty, with a fantastic amount of creeping spice to it and a lovely radish counter. Carnitas w/ Amor salsa y salsa avocado, pickled onion, cotija, micro cilantro - Tender and loaded with sweet spice, the pickled onion giving us a bit of piquancy. Carne Asada w/ Amor salsa, avocado, cotija, micro cilantro, charred green onion - Classic asada goodness here, with the accompaniments doing a great job complementing the meat. 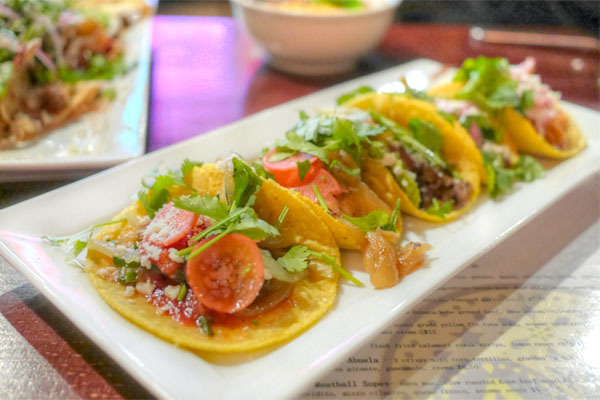 Short Rib w/ burnt habanero crema, roasted caramelized onion, queso fresco, micro cilantro, pickled radish - Super tender, with deep flavors underscored by sweet onion. Rajas con Queso w/ Amor salsa, cilantro, queso fresco, pickled carrots - Probably my fav of the bunch, with the cheese working beautifully with the peppers. 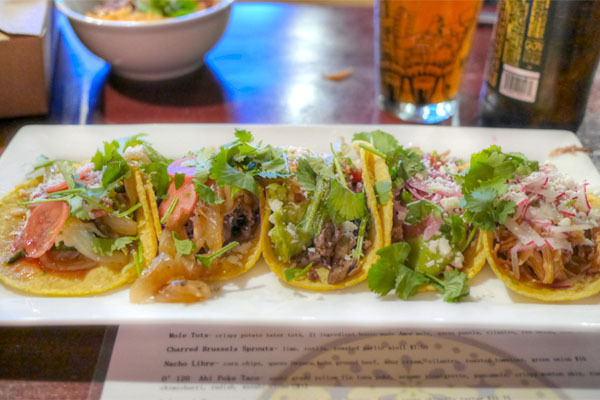 The tacos also came with a side of rice and beans. Nothing groundbreaking here, but a solid interpretation of the two staples. 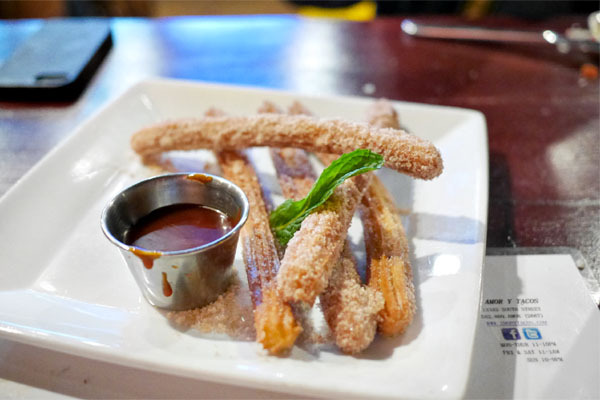 We finished with churros, a satisfying version of the dessert, the pastry coming out hot and crisp, with a blast of sugary sweetness that went along superbly with a dab of that salty cajeta. 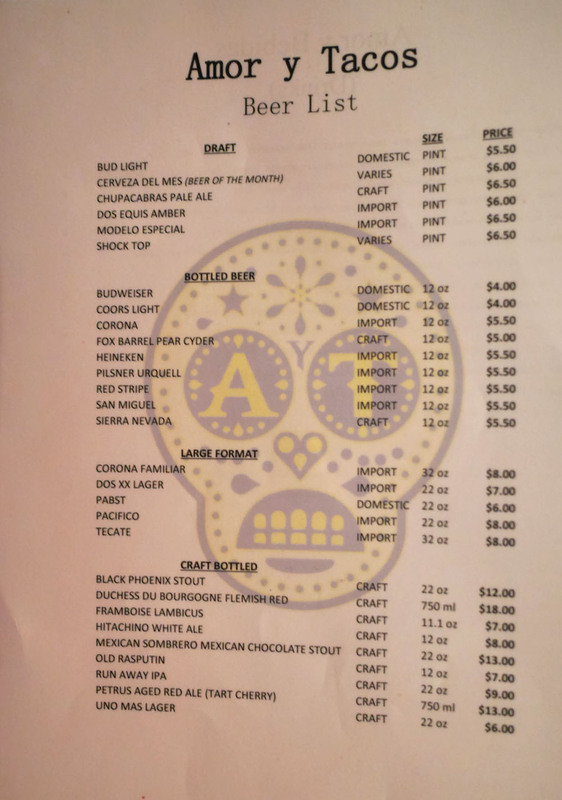 I'm glad to see Amor y Tacos open up in my part of town. 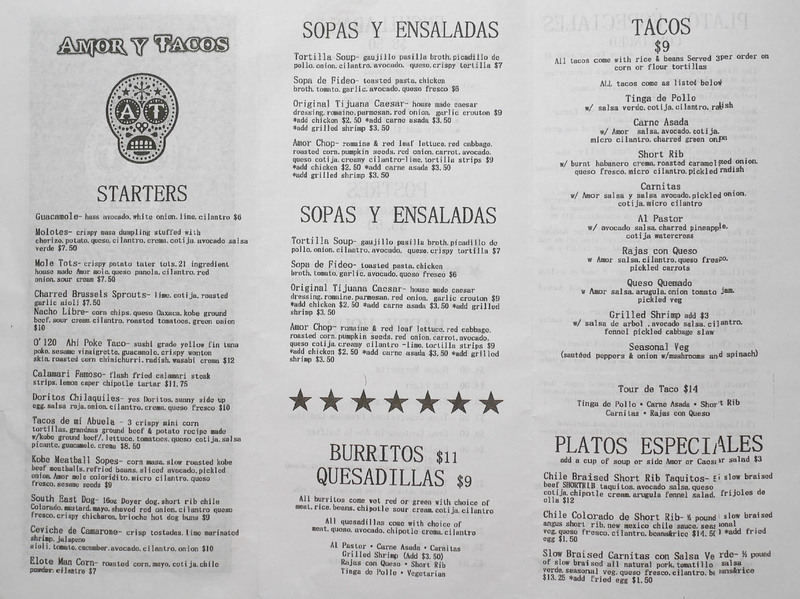 Ortega's renditions of Mexican (-American) classics mostly work, and are a great value to boot (the portions were quite large--we took a bunch of stuff home). At the same time though, it'd be nice to see tighter, more composed plates, along with some more ambitious flavor profiles, sort of along the lines of what's going on at Bizarra Capital. Cocktails, meanwhile, could use a bit of sprucing up I have to say. In the end though, you have to look at context here, and given that it's Cerritos, I can't complain too much. In fact, the restaurant is already earning a place in my local, everyday dining rotation. Brilliant photography I should say, it really reveals more of the beauty of the food that makes it more irresistible.